I have a few pictures to show you of things that I guess can best be classed as Christmas knick knacks, or maybe stocking stuffers. Some of them I bought for others, some I bought for myself ;-). Some were given to me at Christmas. Some are cute, some are yummy, some can be used for crafting, some can not. What ever their purpose...they made me smile! 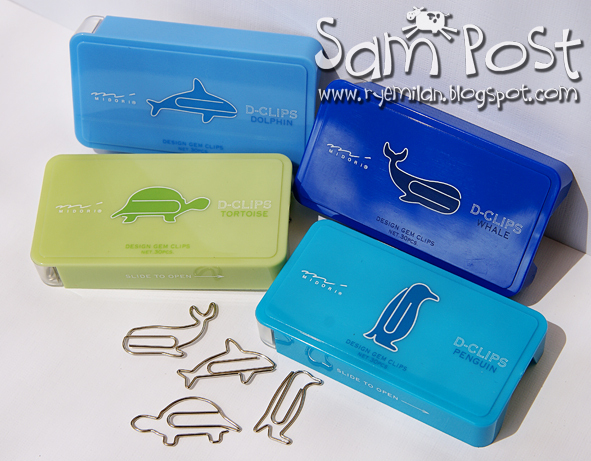 Cute, shaped paperclips. Which I got from Pepe's Paperie, a lovely little shop that sells stationery and other papery goodies here in Canberra. 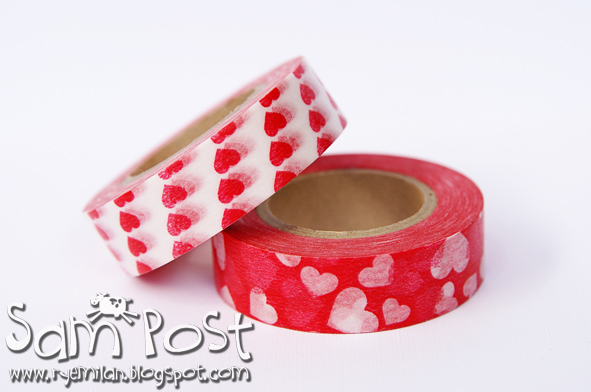 Groovy-doovey Valentine-themed masking tape...from Pepe's. 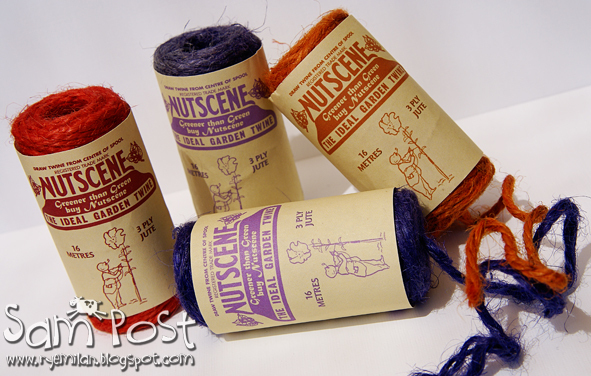 Pretty-coloured Jute Twine...also from Pepe's. I love Pepe's a lot! Eco-friendly, easy stow-away shopping bags by Envirosax. I got these up in a little shop in Balgowlah in Sydney, but I have seen similar ones in several kitchen-type shops too. 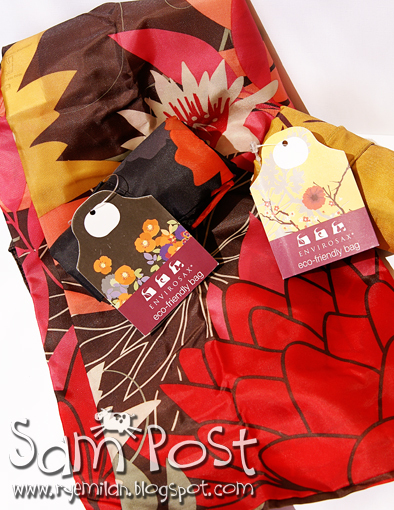 I love the pretty oriental designs on these ones. 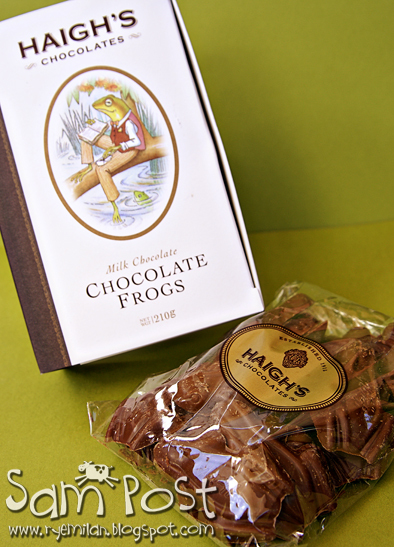 Haigh's Chocolate Frogs. A lovely gift from my sister in-law. They even come in their own beautiful cardboard bookish-box! Drool....I have been very good, and haven't touched these yet at all. 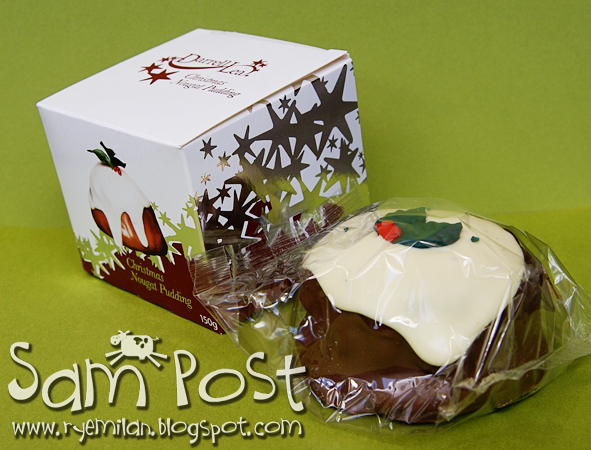 ...and last, but certainly not least...one of my all time favourites the Darrell Lea Christmas Nougat Pudding! They make these at Easter-time too....same delicious taste, just a different design. Thanks for sitting through my little fest of pretties and yummies. I hope you got some lovely pretties and yummies under your tree this year too! 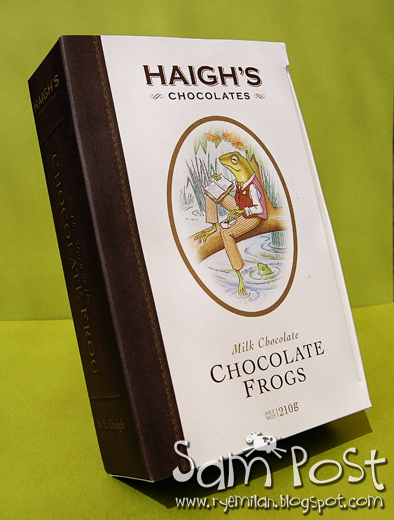 How can you resist Haigh's choc frogs? I love them to bits. Lots of fun and pretty things here. Enjoyed this post. There is an Award over on my blog for you. Enjoy!